Caution: Contains mild “adult” material. Use your own judgement when sharing with the kiddos. Spring is the time for babies. It’s also the time for making babies. 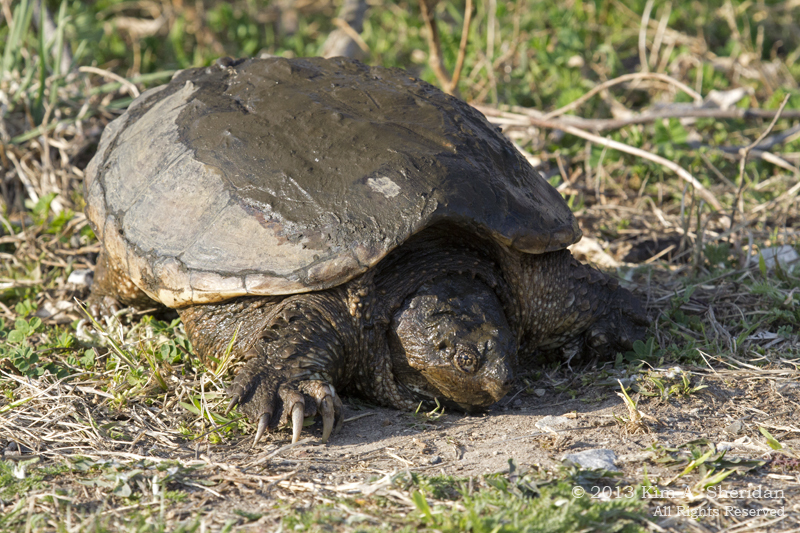 Looks are no impediment, even for a creature as prehistoric-looking as this Snapping Turtle. My first day on the Eagle Watch at Heinz NWR we arrived to find a pair of Snappers mating in the impoundment right in front of us. The entertainment went on for over an hour. 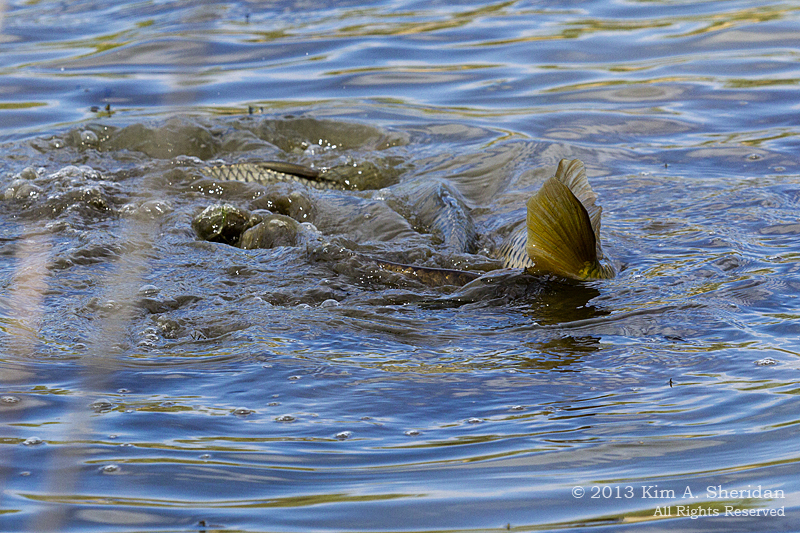 Mating for Snappers involves a lot of biting, and the female is submerged for much of the time. Better her than me! 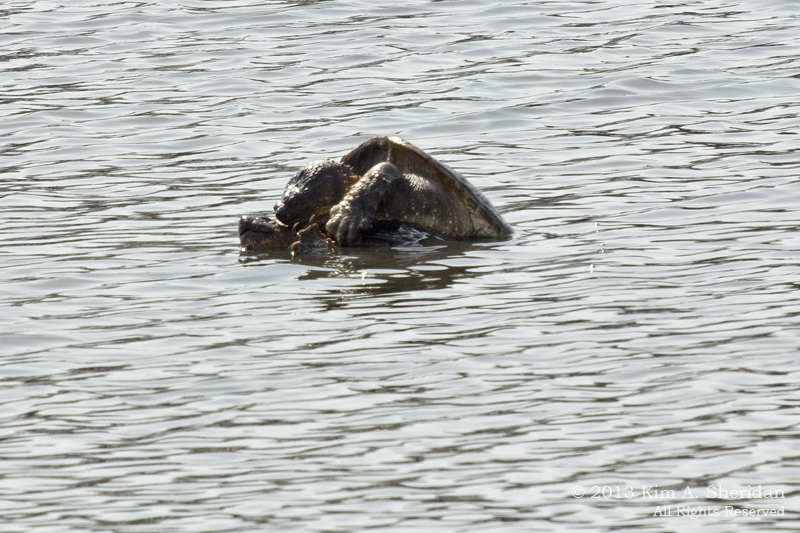 At one point another Snapper swam over to see if he could get in on the action, but he left disappointed. You know what they say – two’s company, three’s a crowd! FUN FACT: Snappers mate any time from March to November, but the nesting period is only a few weeks. Once they’ve mated, the male’s sperm can remain viable in the female’s body for up to several years. They will usually lay 25 to 50 eggs, which will hatch in two to three months. 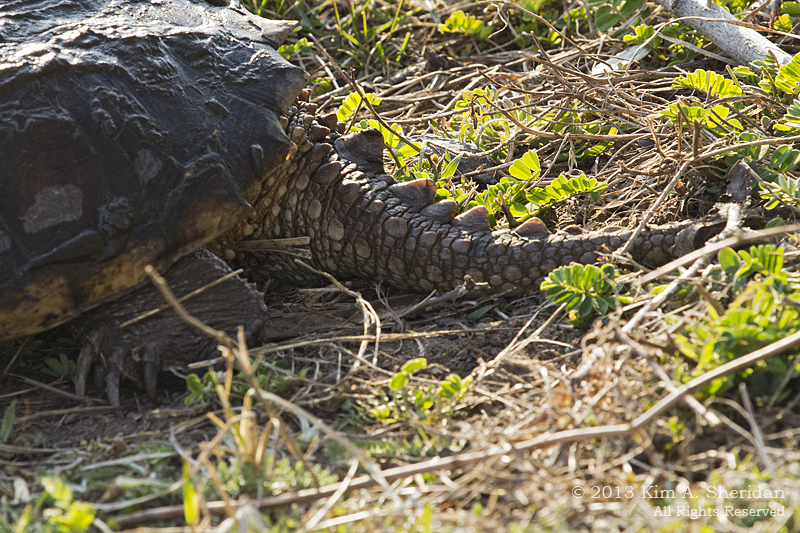 Snappers spend most of their lives in the water, in deep pools or buried in the mud of shallow ponds. On land they can be fierce when threatened, but are downright docile in the water. 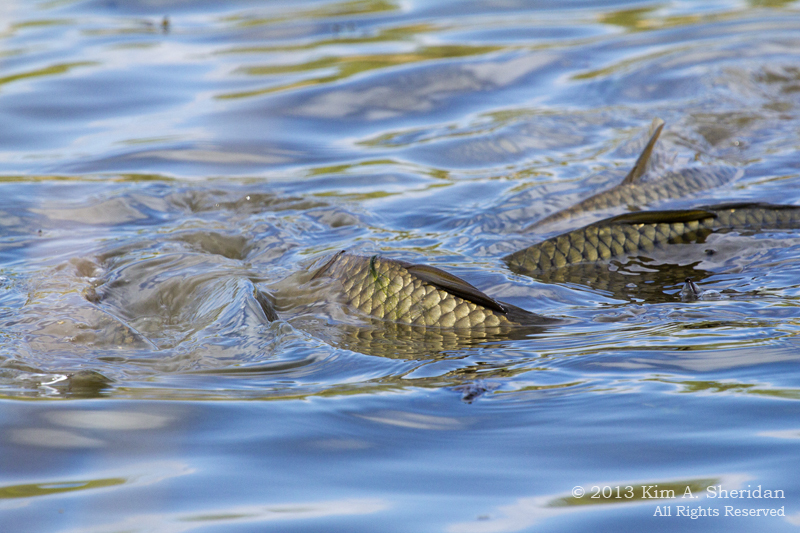 On another warm and sunny day, the carp came out to spawn, thrashing and circling each other in the shallows. Carp lay hundreds of thousands of eggs, which hatch in a few days with no further parental care. They are actually members of the Minnow family. And that’s the end of this tale! 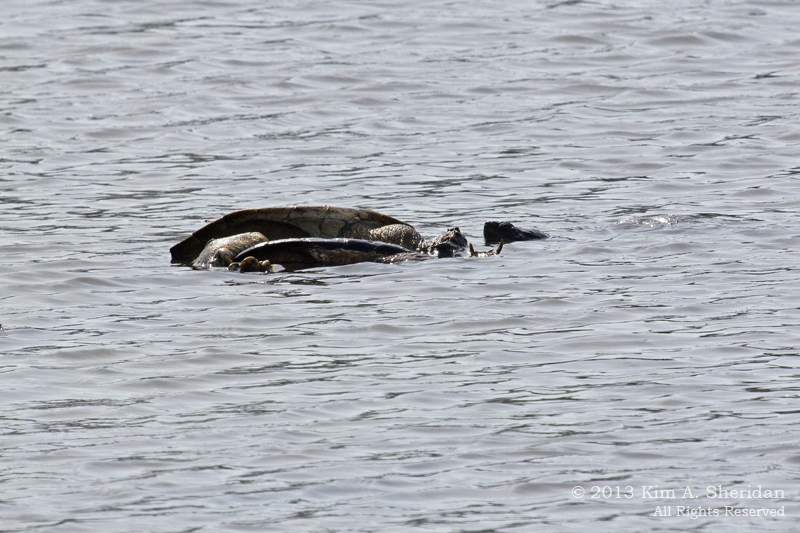 This entry was posted in Nature, Wildlife and tagged Fish, John Heinz National Wildlife Refuge, Turtles by Kim. Bookmark the permalink.